Chief Minister Chandrababu Naidu said that the pro-investment state is an endorsement to Andhra Pradesh. 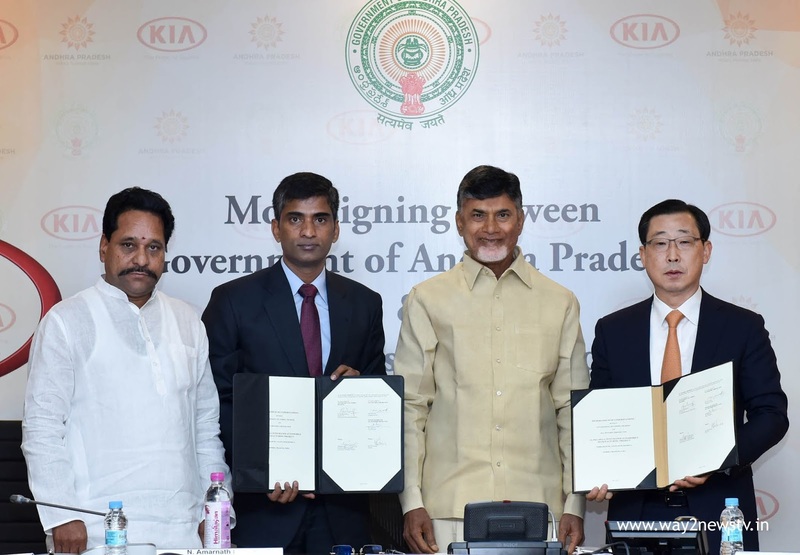 Chandrababu spoke after starting the car manufacturing facility in the Kia industry in Penukonda. Ananthapur district has been described "Kia" as a vow. The largest car industry in the world can grow Kia. Kyo has more facilities to stay on the highway. One side is Hyderabad. On the other side in Chennai. In the middle of the Amaravati center "Kia" is the development. With the arrival of Kia, employment opportunities for unemployed have increased. There are no unemployed people. With the arrival of Kia, he said 24 more close-up companies are good in position.